Special Containment Procedures: SCP-1927 is to be contained in a holding cell measuring no less than 10 m x 15 m x 5 m, composed of stainless steel plated with a copper/platinum alloy, with a ten (10) cm thick sheet of glass covering the floor of the cell and surrounded by a layer of insulating material. In the event that SCP-1927 is not visible on the floor of its containment chamber, repeated shocks of 5 kV should be applied to the chamber until SCP-1927 dislodges itself from the walls or ceiling onto the floor. At five (5) day intervals, the organism should be fed one (1) live mammal with minimum of weight one hundred (100) kg. If the organism's total intake is expected to exceed one thousand (1000) kg in a single 30-day period, precautions should be taken to handle a reproductive event (see Addendum 1927-1). The organism's upper layer is non-permeable and capable of extruding an organic hair-like covering at will, growing to a maximum length of 0.2 m in 24 hours and being 'shed' in a similar span of time, while the lower surface emits one of two compounds - a semi-solid adhesive that also serves to retain internal moisture, or a weak acidic secretion that will slowly dissolve any organic substance or oxidizable metal. Its body is highly resilient against environmental conditions and localized or generalized pressure, though it has proven vulnerable to high heat and electric shocks. SCP-1927's 'head' is distinguished only by the presence of its mouth, from which it extends its pharynx to capture prey and drag it inside the organism's throat. Its internal structure is compressed and highly simplified, consisting of between eight (8) and twelve (12) pockets linked by muscular tubes dispersed throughout the organism's body that serve as both digestive chambers and storage units for its acid secretions. A network of ganglial tissue lumps linked by strands of nervous tissue is likewise dispersed throughout SCP-1927's body, and neither excretory nor reproductive organs are in evidence, nor any sign of a circulatory system. SCP-1927 'hunts' by means of spreading itself on a horizontal surface, using its acidic secretion to dissolve a concealing cavity into the surface of sufficient size to rest itself and conceal its edges, and waiting for a prey animal of sufficient size to approach it. To aid this, SCP-1927 has demonstrated an extremely versatile ability to adopt reactive camouflage, recoloring its upper surface to blend in with its surroundings. How the organism is able to reproduce colors and patterns without any detectable visual organs is unknown, but it can do so with significant accuracy, sufficient to replicate (if crudely) a piece of modern artwork placed underneath it. 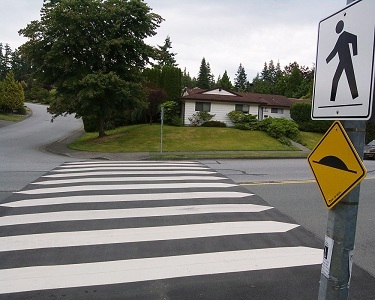 The instance of SCP-1927 currently in Foundation custody was captured in ████, █████, where it was disguising itself as a pedestrian crosswalk. Addendum 1927-1: 4 months after containment was established, SCP-1927 was observed to enter a highly agitated state, attempting to climb the walls of its chamber five times in succession before ceasing and entering an aestivative state. During the period since its capture, the organism had been fed large amounts of prey animals at irregular intervals for the purpose of observation and testing, and had grown to approximately 55 m2. 7 hours later, it split along its midsection line perpendicular to its long side and created two organisms of identical size and dimensions. After applying electrical current to both organisms as a precaution, one of the two instances of SCP-1927 was extracted from the containment chamber for vivisection. Since then, it has divided a total of █ times, in each case following the same conditions and pre-emptive behavior.